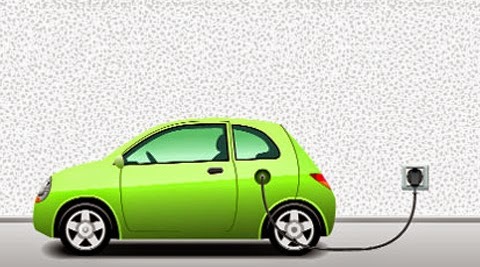 The scheme, namely ‘Faster Adoption and Manufacturing of (Hybrid &) Electric Vehicles in India – FAME India’ has been launched by the Department of Heavy Industry for the initial phase of two years w.e.f 1st April 2015. This scheme offersincentives in the form of upfront reduced purchase price to the buyers of electric/hybrid vehicles (Green vehicles). Under this scheme, demand incentives shall be available to buyers in the form of upfront reduced purchase price. All types of vehicles like 2 wheelers, 3 wheelers, 4 wheelers, Light Commercial Vehicles, Buses and also retro fitment vehicles are covered under this scheme. Initially, this scheme is launched in select cities for the period of two years starting from 1st April 2015. The details of the scheme are given in the Scheme Guidelines notified in the Extraordinary Gazette of India dated 25th March 2015 and the same is available on the website of Department of Heavy Industry. The department has also taken all the necessary action for wider acceptance of this scheme. After the notification of this scheme, vehicles test centres have been informed for testing of vehicles to be entitled to get the benefit of this scheme as per scheme guidelines. Further, operational guidelines have also been issued for the OEMs and dealers for the procedure to be followed at the time of sale of vehicles. The Income Tax Department has been awarded the ‘Prime Minister’s Award for Excellence in Public Administration’ for ‘Easy Tax Compliance through Quality Service’. The award was presented at a function at Vigyan Bhawan here today by the Prime Minister on Civil Services Day. The award has been conferred to the Income Tax Department for setting-up and for successful implementation of end to end solution of core services. These include integrated e-governance initiatives viz. Tax Information Network (TIN), e-filing portal, Centralized Processing Cell (CPC-TDS) for processing of TDS statements, Centralized Processing Centre (CPC) for processing of Income Tax Returns and the Refund Banker. The solution architecture and the reconciliation processes are one of the best in the world. The projects have been conceptualized based on principles of USAGE – Uniform interpretation of tax laws, Simplification of forms, Easy Accessibility of services, Good tax governance and Empowerment of taxpayer with information. More USAGE prompts more Voluntary Compliance. Presently, over 4.5 crore taxpayers and 15 Lac deductors are using various e-enabled online taxpayer friendly end to end services viz. e-payment of taxes, e-filing of tax returns and TDS statements, tax credit statements in Form 26AS, digital TDS certificates in Form 16/16A and issuance of refunds. In the financial year 2014-15, more than 94% of the tax returns have been filed on-line, while more than 80% of the direct tax revenue is being received online. Besides, about 99% of the TDS statements are being filed electronically. While the TDS statements are processed within a week, the tax returns are being processed within an average period of 30 days. A large number of tax refunds are being directly credited to the bank accounts of the taxpayers. The award is a recognition of the sustained efforts of officers of the Income Tax Department. Four e-service projects of the Department have already been conferred National e-governance awards in past. The ‘Prime Minister Award for excellence in public administration’ and the four National e-governance awards to the Income Tax Department demonstrate the commitment of the Department towards achieving ‘Minimum Government and Maximum Governance’ in tax administration and to move towards a non-adversarial and tax-payer friendly regime. As per Section 26 of the Andhra Pradesh Re-organisation Act, 2014 the number of seats in the Legislative Assembly of the successor States of Andhra Pradesh and Telangana is likely to be increased from 175 and 119 to 225 and 153, respectively subject to the provisions contained in Article 170 of the Constitution. As per article 170 of the Constitution, delimitation of the Constituencies can be possible only when the relevant population figures of the first census taken after the year 2026 have been published. This was stated by the Minister of State for Home Affairs, Shri Haribhai Parathibhai Chaudhary in a written reply to a question by Dr. Boora Narsaiah Goud, Shri B. Vinod Kumar and Shri A.P. Jitender Reddy in the Lok Sabha today. The United Liberation Front of Assam (Independent) (ULFA/I) and National Democratic Front of Bodoland/Songbijit (NDFB/S) have been indulging in terrorist violence from time to time mercilessly killing innocent people, including women and children. These outfits are also indulging themselves in extortion activities and abduction/kidnapping of people for ransom. Efforts of the State Government are being supplemented for containing violent activities of these terrorist organisations. It is viewed that there is hardly any reasons for holding talks with the groups which are indulging in mindless violence and other criminal activities thereby making lives of general public miserable. However, The Government has always shown willingness to enter into dialogue with any group, which is willing to abjure the path of violence and seeking resolution of their grievances within the framework of the Constitution of India. Talks with ULFA (pro-talk group), NDFB (Progressive) and NDFB (Ranjan Daimary) groups are continuing. This was stated by the Minister of State for Home Affairs, Shri Kiren Rijiju in a written reply to a question by Smt. Bijoya Chakravarty in the Lok Sabha today. The Citizenship Act, 1955 provides the Central Government to compulsorily register every citizen of India and issue Multipurpose National Identity Card (MNIC) to him. It has been decided that National Population Register (NPR) should be completed and taken to its logical conclusion, which is the creation of National Register of Indian Citizen (NRIC) and National Identity Cards would be issued to Citizens by verification of citizenship status of every usual resident in the NPR. The proposals for the same are under consideration of the Government. The process of social vetting by Gram Sabha and Ward Committees is one of the steps in the creation of National Population Register (NPR) in the country. The first step involves the collection of information on specific characteristics of all usual residents by Government servants duly designated for this purpose. The second step involves the creation of a digitised database of each resident. Next, photographs, 10 finger prints and IRIS of all usual residents who are of age 5 years and above is collected with reference to the digitised database and in the presence of designated Government servants. After this, the database is sent to the UIDAI for de-duplication and generation of Aadhaar numbers. This ensures that the database does not contain any duplicates. Following this, the details are printed out in the form of Local Register of Usual Residents and displayed in the local areas for scrutiny by the public and invitation of claims and objections for a period of 21 days. All claims and objections are to be heard by the local officials designated for this purpose. There is also provision of appeal to higher level officials. Thus, the claims and objections would be looked into by revenue officials like Patwari or Talati who have been designated as the Local Registrars, Tehsildars, who are designated as Sub-district Registrars and the Collectors/ DMs who are designated as District Registrars. Simultaneously, the LRUR is also placed before the Gram Sabhas and Ward Committees for vetting. Instructions have also been issued that the lists should be scrutinized by the local police and revenue officials. The LRURs duly authenticated and de-duplicated when aggregated at the National level forms the National Population Register. This process has been evolved after extensive consultation and discussion with all stake holders including the State Governments. Thus, the process involved in creation of NPR is comprehensive and includes verification at several stages. The National Population Register (NPR) is a Register of Usual Residents. It would contain citizens as well as non-citizens. The objective of creating a NPR is to net all usual residents of the country at a given point of time. This would serve as the mother database for creating the National Register of Indian Citizens (NRIC) by verifying the citizenship status of each and every resident. This was stated by the Minister of State for Home Affairs, Shri Haribhai Parathibhai Chaudhary in a written reply to a question by Shri Ramsinh Rathwa in the Lok Sabha today. The Ministry of Home Affairs is envisaging setting up of an integrated Computer Aided Dispatch (CAD) platform for supporting Geographical Information System (GIS) Based Call Taking and Global Positioning System (GPS) based Police vehicle dispatch function that will help to improve the efficiency in responding to women distress calls and provide speedy assistance. The Cabinet Committee on Economic Affairs has approved the proposal on 05.02.2014 and has sanctioned a total of Rs. 321.69 crore out of the Nirbhaya Fund. All the State Governments have been advised to put in place regulatory frame work where by the provision of basic security features pertaining to access control and surveillance (through CCTV cameras, etc) systems, are made mandatory in respect of certain types of private establishments, such as Malls, Multiplexes, hotels, restaurants and other entertainment places, etc. This was stated by the Minister of State for Home Affairs, Shri Haribhai Parathibhai Chaudhary in a written reply to a question by Smt. Rakshatai Khadse in the Lok Sabha today. Yet another milestone initiative in fulfilling a series of his commitments made in the Railway Budget 2015-16, the Minister of Railways Shri Suresh Prabhakar Prabhu launched ‘E-Samiksha’ for monitoring the implementation of budget announcements/commitments, at a function here today. While lauding this initiative, Shri Suresh Prabhu said that it is a very good beginning as the budget announcements and assurances given in the Parliament need to be given due importance and this portal would help to keep an eye on the implementation of those budget commitments. He said that this portal will mainly focus on Budget Review, Board Meetings, Zonal Railway Review, Infrastructure Targets and Project Implementation Review. Shri Suresh Prabhu thanked Cabinet Secretariat and National Informatics Centre (NIC) for developing this system. He said that besides using this Portal for Railway Budget announcement implementation, there are several other modules in the E-Samiksha software, which can be used for coordination by respective Directorates, Zonal and Divisional level officials in Indian Railways. E-Samiksha is a real time, on-line system for monitoring of follow-up action on the decisions taken during the presentations made by different Ministries/Departments to the Prime Minister. The follow-up action in respect of each decision is to be updated by the concerned Ministry/Department/Agency as and when the status changes or at least every month. Different users such as the PMO/Cabinet Secretariat/Ministries/Departments can securely access the system through a log-in/password. This system can also be configured to review the follow up action in respect of other meetings, if required. Shri Suresh Prabhu had directed that software needs to be developed to enable online monitoring of Budget Implementation and Project monitoring. Computerization and Information System (C&IS) of Railway Board in coordination with NIC and Department of Electronics and Information Technology (DeitY) have developed the software for E–Samiksha. Also present on the occasion were Chairman, Railway Board, Shri A.K.Mital, Board Member and senior railway officials. India and Bangladesh have agreed on the extension of Protocol on Inland Water Transit and Trade (PIWTT) with the provision of automatic renewal in line with the proposed amendment to the Bangladesh-India trade agreement during a Secretary-level talk between the two countries held here on April 20. With regard to development of entire protocol route under regional IDA assistance of World Bank, Bangladesh side while welcoming the proposal agreed to revert after obtaining approval of the concerned Authority of Bangladesh. It was also agreed between the two countries that a draft agreement for the regular movement of passenger and cruise vessels would be shared by India with Bangladesh through diplomatic channel. The issue relating to inclusion of Pangaon container terminal (ICT) in Bangladesh as a Port of Call was discussed and Bangladesh side informed that the Pangaon (ICT) with two other ICT in Bangladesh may be used as a Port of Call by cargo vessel operator. Bangladesh side requested that Farraka and Bandel on National Waterway (NW) – 1 may be declared as Port of Call. Indian side, while agreeing on the reciprocity, mentioned that on Farraka it would revert after internal consultations. With regard to commencement of the Coastal Shipping, a draft agreement on coastal shipping was initialed by both the countries. It was also agreed to finalize the Standard Operating Procedures (SOP) in about two months time. On cooperation on Light House and marine training, India offered to extend training to the personnel in Bangladesh. The Indian delegation was led by Shri Rajive Kumar, Secretary, Ministry of Shipping, while the Bangladesh delegation was led by Mr. Shafiq Alam Mehdi, Secretary, Ministry of Shipping, Government of Bangladesh. Both the sides were confident that the deliberations would go a long way in the development of inland water transport and coastal shipping for enhancing connectivity and trade and commerce between the two countries. In a leg up to the implementation of Swachh Bharat Mission, the Ministry of Urban Development has issued Standard Operating Procedures (SOP) to ensure cleanliness during and after public meetings and gatherings. Under the SOP, approved by the Minister of Urban Development Shri M.Venkaiah Naidu, organisers of such events have been made accountable for ensuring cleanliness and they will be required to pay Security Deposit for obtaining permission for the events. In case of default by the organizer, concerned municipal bodies will undertake cleaning operations using the deposit money. The Ministry has taken a serious note of spoiling of public places through littering of water bottles, left- over food items, used flowers, packaging material, wrappers etc during public gatherings and meetings besides non-provisioning of public conveniences adversely affecting the hygiene in the surroundings. Under the new norms, organisers will have to furnish an undertaking for ensuring cleanliness and have to deposit money to be used in case of default by them. Security Deposit to be made will be Rs.10,000/- for a gathering of up to 500 persons, Rs.50,000 for 50,000 persons and Rs.1,00,000 for a gathering of above 50,000 persons. Permission will not be given by the concerned agencies if Security Deposit is not made. The organizer shall ensure adequate garbage collection bins and adequate public conveniences as per the norms indicated at his own cost through agencies designated by the municipal body or through his own alternative arrangements. Adequate number of cleaning staff should be deployed to ensure proper cleanliness of the premises. After the event was over, the organizer shall ensure transportation of the garbage to the nearest waste storage location designated by the municipal body. Organizer shall ensure handing over of clean site to the owner of premises with in six hours after the conclusion of the event. If the cleanliness was ensured by the organizer, Security Deposit in the form of Demand Draft shall be returned to him in three days by the municipal body. For events to be held on public/open spaces not earmarked for gatherings, where permission is taken directly from the police, organizer shall furnish the said undertaking and Security Deposit to the police. For gatherings/meetings at public places like parks/gardens etc. Hotels, restaurants, marriage halls, farmhouses etc. Upto 200 people – 4 dustbins of 150 litre capacity in the premises and additional 2 of 100 litre capacity each outside the premises. Above 5,000 people – 1 dustbin of 100 litres capacity for every 500 people and one of 1,100 litre capacity for every 5,000 people. The Water level of Jhelum river in Srinagar is expected to recede by tomorrow morning. At 6 PM today the water level of river at Rammunshi Bagh near Srinagar was at 1585.5 mts ( 0.65 mts above danger level) with steady trend. The water level is expected to fall down to 1585 mts by 8 AM tomorrow and to 1584.5 mts by 6 PM tomorrow. The Minister of State (Independent Charge) for Youth Affairs and Sports Shri Sarbananda Sonowal has said that the Ministry of Youth Affairs and Sports is encouraging adventure activities mainly through the National Programme for Youth and Adolescent Development (NPYAD) Scheme. The adventure programme component under this Scheme are: Adventure activities of basic/intermediate level within India; Adventure activities of advanced level within India; Adventure Training and/or Awareness Camps at suitable places; Seminars, Workshops, Film/Slide Shows, Exhibitions, Festivals along with some demonstrative activities by experts on adventure; Assistance to Recognised Institutions to Promote Adventure; and Tenzing Norgay National Adventure Awards. In a written reply in the Lok Sabha today Shri Sonowal said, the Ministry is also implementing the Rajiv Gandhi Adventure Scheme, under which adventure camps are conducted for National Service Scheme (NSS) volunteers and the adventure activities undertaken in these camps include trekking (mountain and desert), white water rafting, para-sailing, para-gliding and basic skiing. For promotion of adventure activities, funds are not allocated/released State/UT-wise under the Schemes. Under both the schemes, funds for adventure activities are released to reputed Adventure Institutes and Organisations, the Minister added. The Minister of State (Independent Charge) for Youth Affairs and Sports Shri Sarbananda Sonowal has said that Government has launched a programme namely Target Olympic Podium under National Sports Development Fund. The programme is for identification of athletes who are potential medal winners in 2016/2020 Olympics. Financial Assistance is available for such athletes from National Sports Development Fund for training and competition for preparation for Olympics 2016/2020. In a written reply in the Lok Sabha today Shri Sonowal said, 75 athletes are to be benefitted for Olympics 2016 out of which 45 athletes have been identified till now. Rs.30 crores approximately have been earmarked for preparation of the said 45 athletes subject to stipulated conditions. More athletes are to be identified for Olympics 2020.